Ohio's Gov. Mike DeWine on Thursday signed into law a bill that prohibits abortions once doctors can detect the trace of a fetal heartbeat with an ultrasound — which can come as early as 6 weeks into a pregnancy. 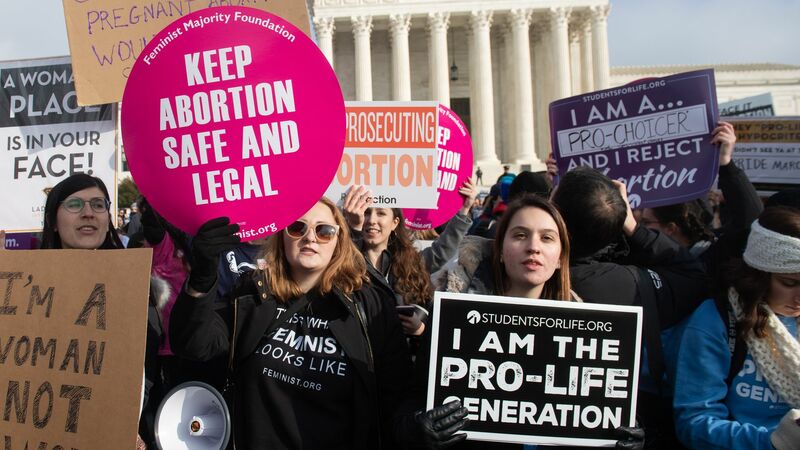 Why it matters: This ban on abortions at a point when many women remain unaware they are pregnant comes as a growing number of red states like Mississippi are adopting similar measures. The American Civil Liberties Union immediately said it would file a lawsuit challenging the measure, which is one of the most restrictive abortion laws in the country. Under the bill, physicians who violate the law could face jail time and a $20,000 fine from the State Medical Board of Ohio.